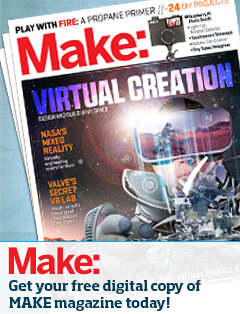 ← Be a Maker in 2015! The Maker Faire committee is finalizing plans for this year’s Midcoast Mini Maker Faire, to be held in the Camden Amphitheatre on Saturday, September 12, 11:00 am to 3:00 pm. The committee is still looking for volunteers to help with events the day of the Faire and to help present various projects and exhibits. Please contact Ken Gross at the Camden Public Library for more information. The Midcoast Mini Maker Faire has already lined up several extraordinary Makers, including Stephen Abadessa who is a returning Make rand who will present classes in Arduino “101” and “201” as an introduction to the fascinating and approachable world of miniature processors and programming. He recommends that participants come with an Arduino already in hand, although everyone is welcome at his workshops whether they have an Arduino in hand or not. Arduinos can be ordered online for $10-$20, search for Mini-USB-Board-for-Compatible-Arduino-DIY. Makers at this year’s Faire will also present drone demonstrations with images relayed to a base laptop in Harbor park, various alternative vehicles on Atlantic Avenue, thermal imaging family portraits, colored thermal-sensitive slime, a leafblower-powered hovercraft, a monster mod podge collage. 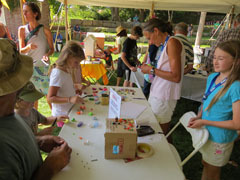 The Midcoast Mini Maker Faire is hosted by the Camden Public Library, Mid-Coast Magnet, and presented with support of Electricity Maine and the Bangor Savings Bank. 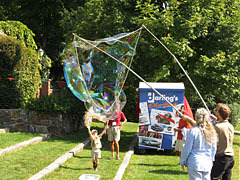 Photo Caption: Makers from the 2014 Midcoast Mini Maker Faire showcase activities featuring origami, larger than life bubbles, stone archway construction, and 3D printing . . . to name a few.